It feels like a long time ago since I took possession of the 2018 version of the Bombtrack Hook EXT. That’s because in the world of bike testing, it is quite a while. 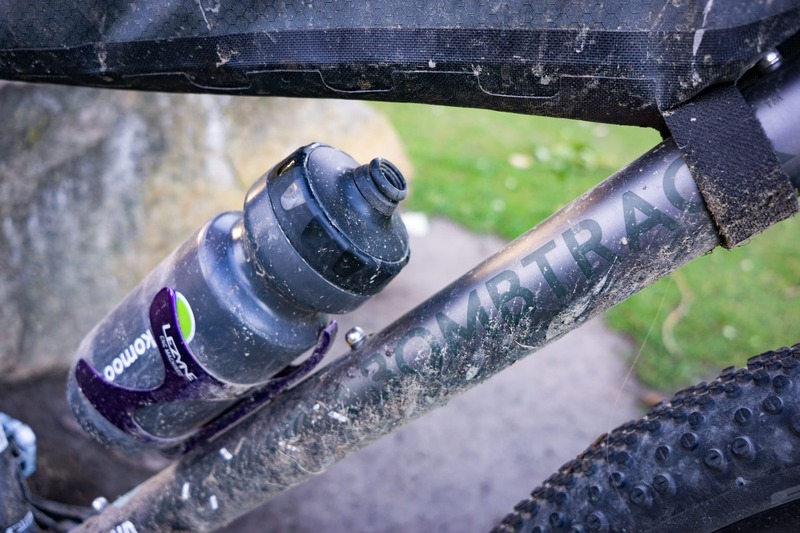 It was back in April that the bike was dropped off by Lyon Outdoor – Bombtrack’s UK distributer. 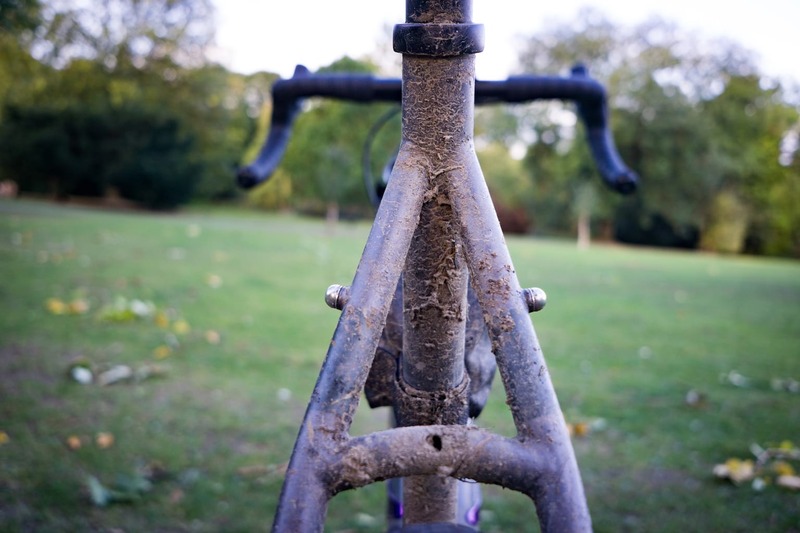 During the intervening near six months, the Hook EXT has been my “main” gravel bike. It’s carried me along the 200km of the Dirty Reiver, on local bikepacking missions and on more than a few rides that would have been better described as mountain biking, as well as the more “bread and butter” bridleways and farm tracks that is more familiar territory for a gravel bike. (Almost) box fresh. The Hook EXT in stock mode. 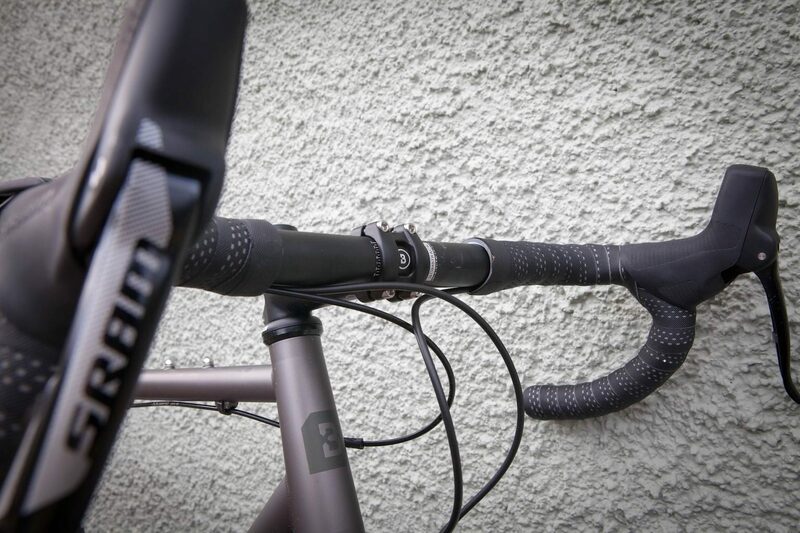 I won’t repeat the full “first look” that I wrote when we first got hold of the bike, but in summary, the Hook EXT is a steel framed, carbon forked, 650b wheeled gravel bike. 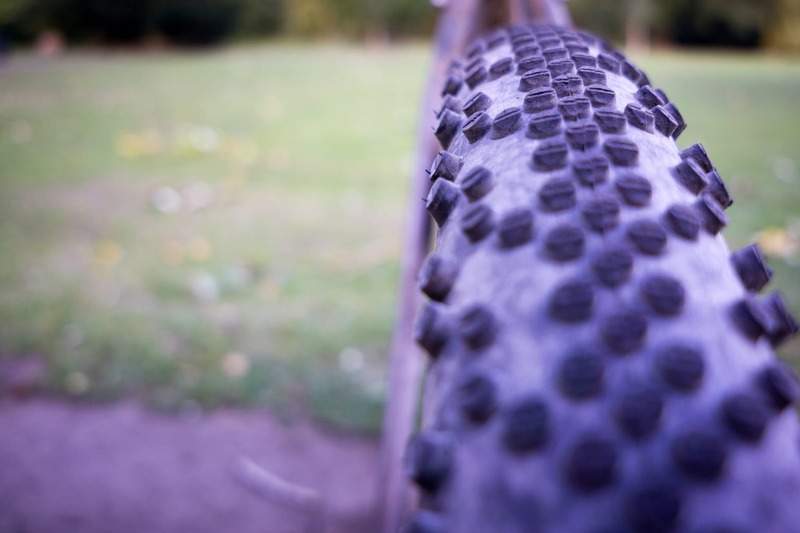 It comes with 2.1in WTB Nano tyres, which width-wise takes it into mountain bike cross-over territory. The SRAM Rival1 groupset is a good fit for the bike, and the 42t rear sprocket was a welcome addition to the 2018 version of the bike (the 2017 model had a 36t). The frame is made from Columbus Cromor and both frame and forks are scattered with as many bosses and mounts as you could possibly hope for. The bike is definitely intended to carry you into the wilds should you wish. 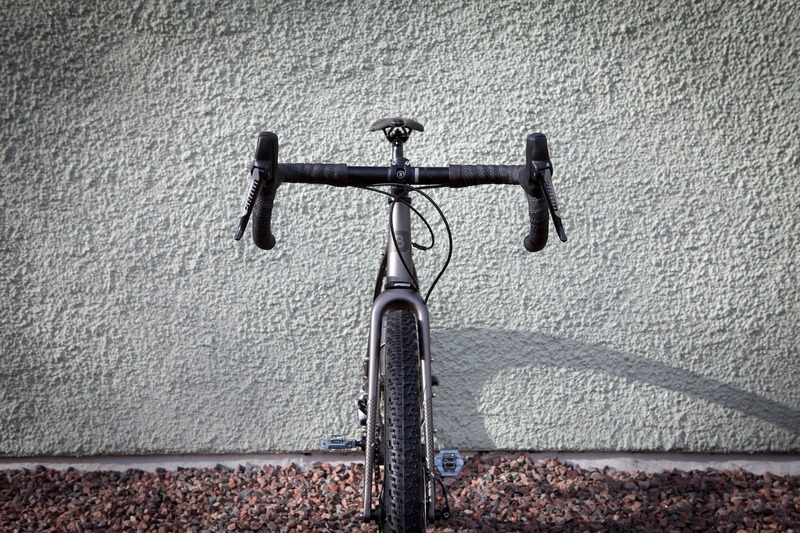 The fork is interesting in that it is one of the very few carbon offerings that also features Anything Cage mounts on the legs (the three evenly spaced bosses on each leg). The bike has a “purposeful” look, and there is something modern-retro about the skinny top-tube combined with chunky carbon fork and disc brakes. I’m a fan of the satin finish to the frame and it has withstood some serious abuse during the course of the test period, including occasional strapping of luggage on without adding any frame protection. There’s the odd scuff, but cosmetically the frame looks almost as good as new. There’s no getting around the general “heft” to the Hook EXT; our large bike weighed in at 11.4kg. In normal circumstances, that’s quite a bit of weight to carry around with you, but we discovered it was much less of an issue in real life than the numbers suggest. 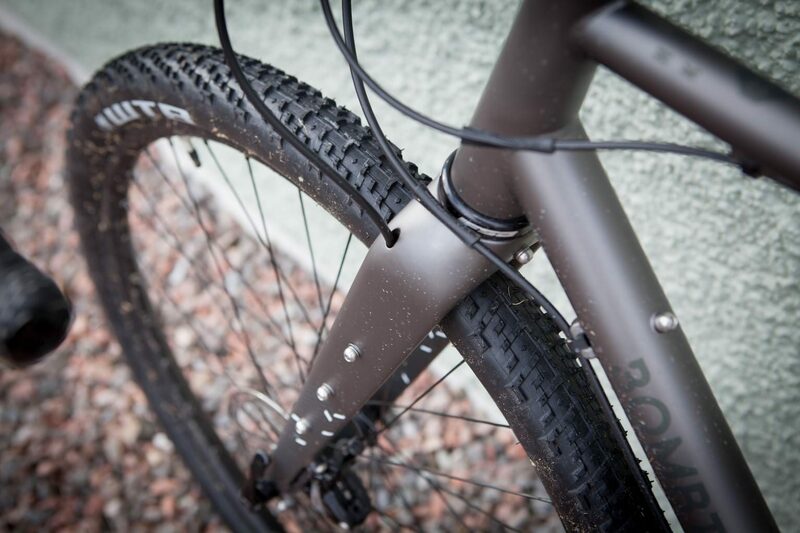 Bombtrack also offers the Hook EXT-C, which shaves some weight for an extra £700. My first few rides were best described as massively entertaining. There’s something about the Hook EXT that encourages you to ride more and more technical terrain. The high volume tyres allow you to move over rougher ground with a confidence and comfort that you simply don’t get with 40c. As spring gave way to summer and the trails became hard packed, that added cush genuinely made a measurable difference when it came to speed. As unintended and unscientific proof, Strava found the Hook EXT quicker on flat but rough tracks than lighter 700c-wheeled gravel bikes. Once the trail started pointing upwards, the weight of the bike was more noticeable though. On long, smooth drags it felt like the tyres and general mass of the Hook EXT just took more effort to keep moving. Equally, on long road sections between trails, I quickly learned to settle into a steady pace. Pushing on was possible, but felt like a lot of energy was required for not a huge amount of extra forward momentum. Back on rougher terrain, though, and the extra traction of a larger tyre allowed me to clean steeper and more technical climbs than I’ve been able to with many other gravel bikes. A larger contact patch and lower tyre pressures offered more grip when winching over loose ground. The 40t chainring, paired with a 42-11 cassette felt about right to me. As the Hook EXT was in my possession for a while, I took the time to make some changes to the set up. Some of these were down to personal preference, others were to use the EXT as a test rig for new components as they came into the GritCX underground bunker. First up, I tubelessed the tyres. 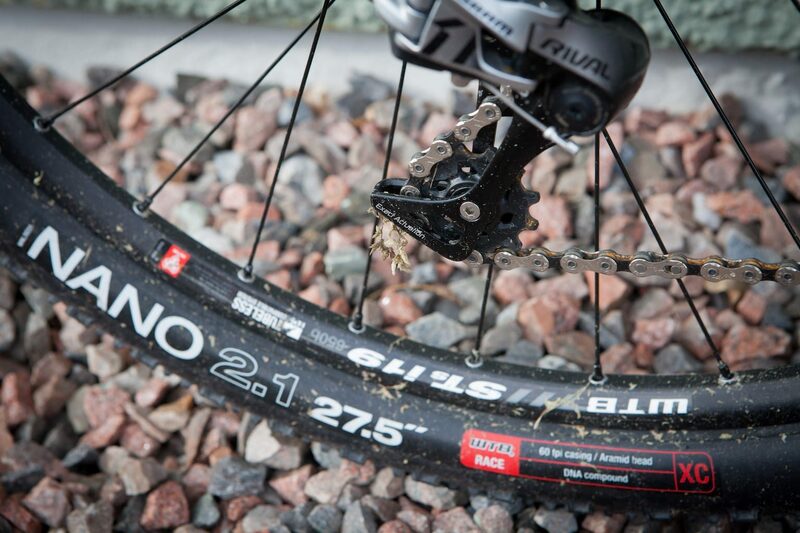 The WTB i19 rim is tubeless ready, but unfortunately the stock “Race” spec Nano tyres aren’t. Not one to be put off, I ran them tubeless anyway. Unsurprisingly, the tyres leaked a fair bit of air over time, but held fine while riding. I did find the rear tyre in particular was prone to burping at lower pressures so I wouldn’t particularly recommend this as a long term option. By the end of the test, both Nanos were looking pretty tired, with the rear in particular sporting a few tyre plugs and a near bald centre. I personally found them both a little draggy and not particularly forthcoming with grip. 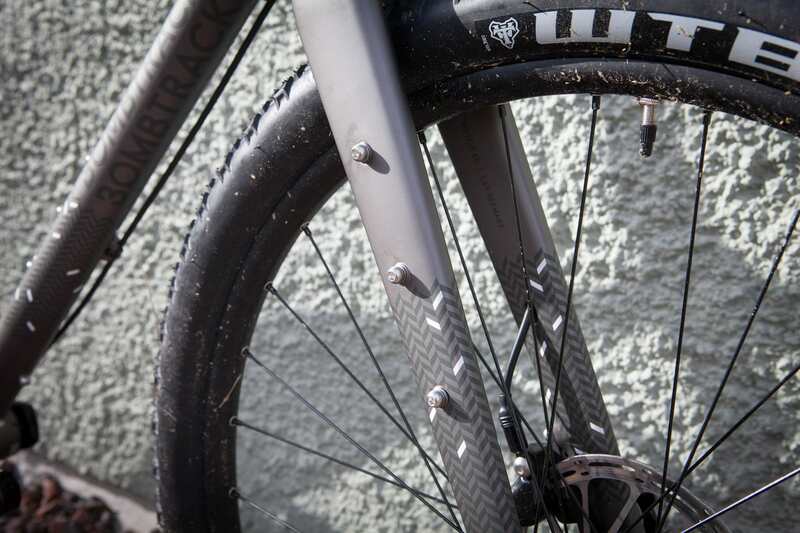 A few years ago they were the standard for mixed terrain gravel tyres, but times move on (more on this in a bit). 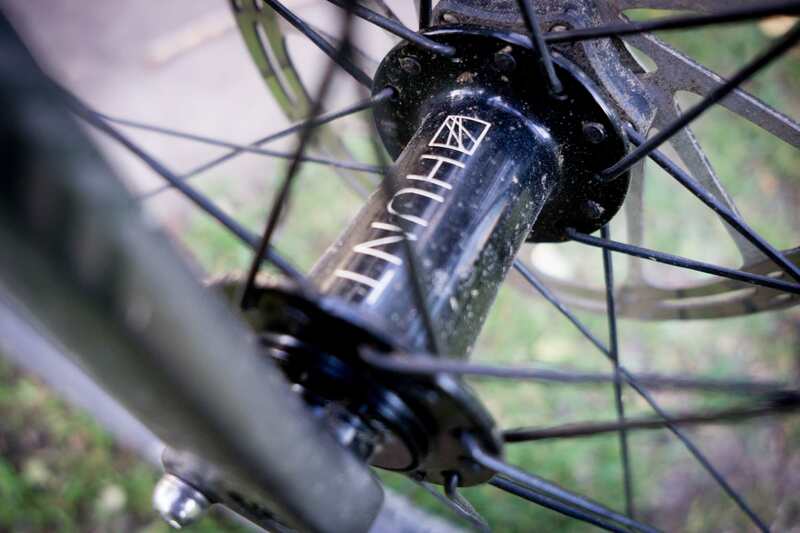 While we are on wheels, the freehub was made a few grumbling noises early on. On closer inspection, it had been built very dry. A few dabs of grease and it has been problem free since. One of those very minor things, but if you aren’t comfortable investigating issues, or tend to ignore them, it could have meant a trip to the bikeshop – or a more expensive bill to pay. 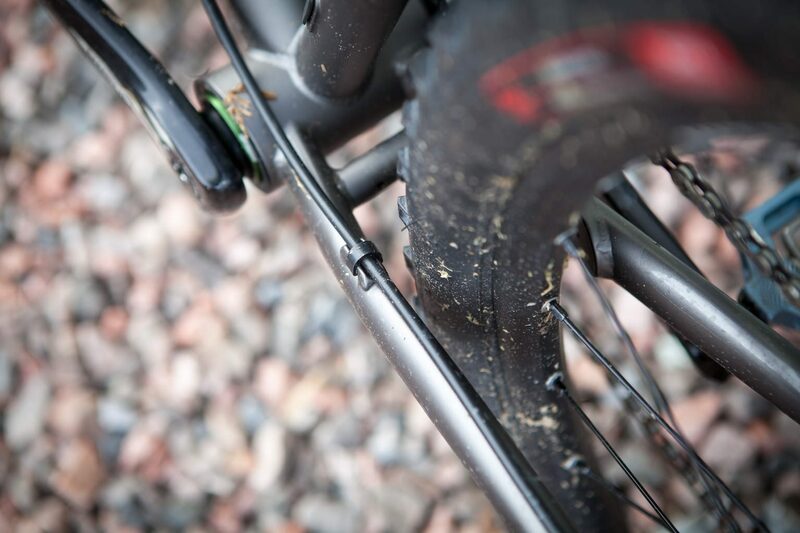 The WTB Nanos are not quite tubeless ready from the off. 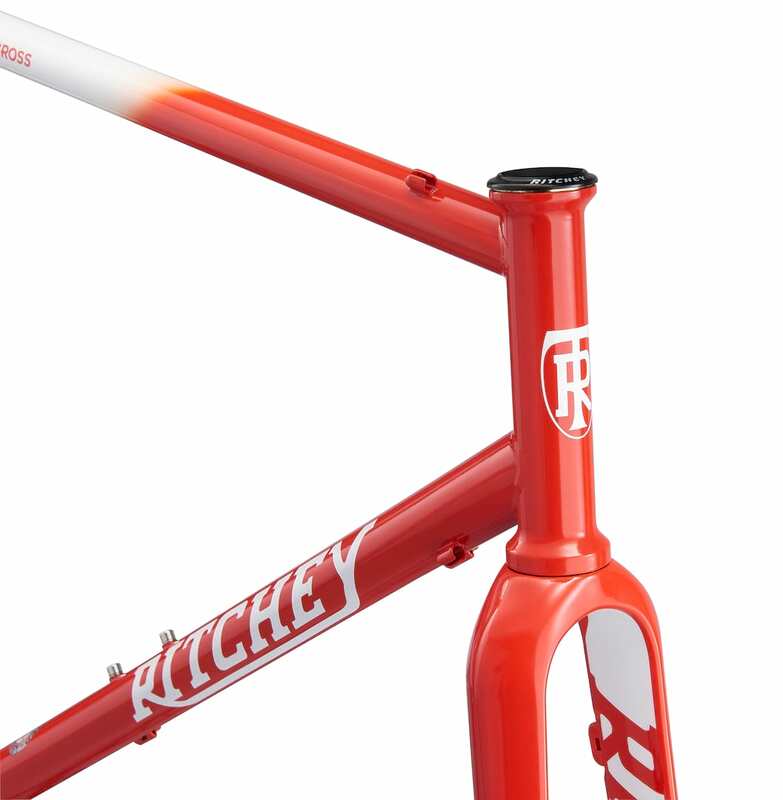 The large bike comes with a 110mm stem. 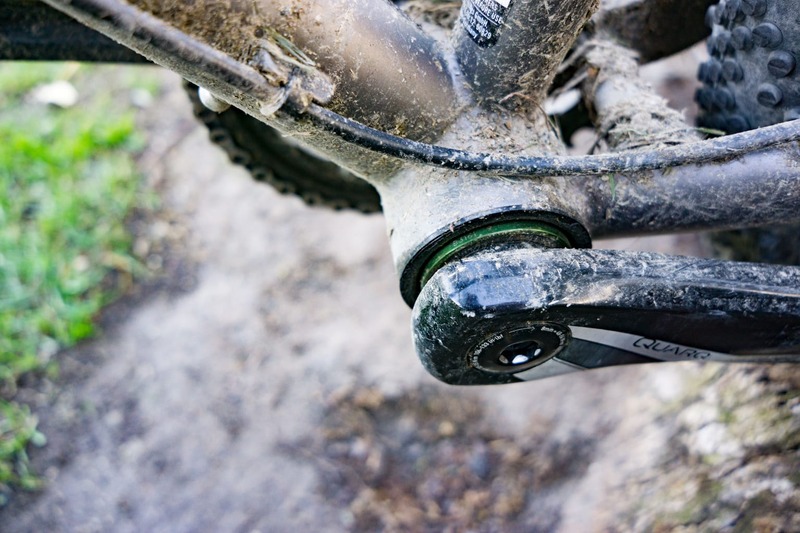 Personally, I reckon anything over 100mm is a bit of a handful off road, especially on a bike that is otherwise so capable on terrain far beyond what might be expected for a gravel bike. I swapped stems to a 100mm version, with the downside being it cramped up the reach ever so slightly. 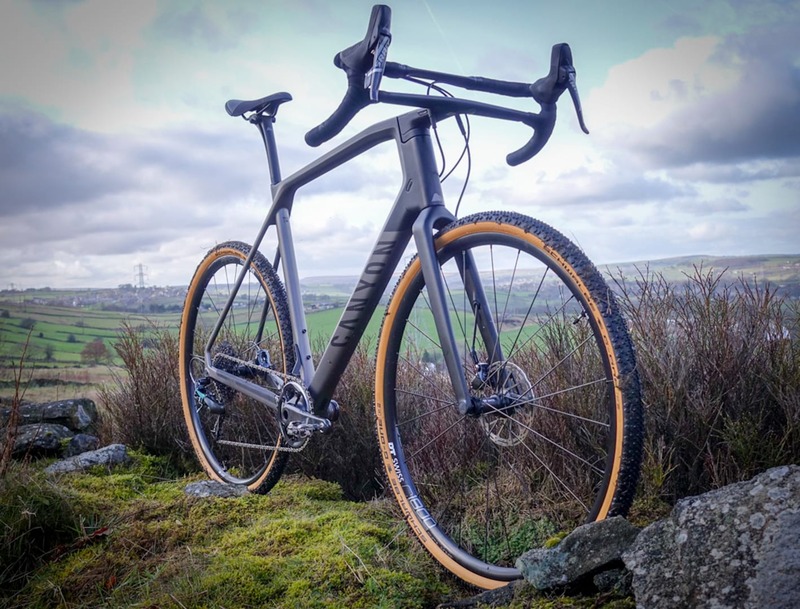 Brands such as Canyon are beginning to take the cue from the mountain bike ranges and speccing longer top tubes on their gravel and ‘cross bikes. The Hook EXT might benefit from a similar approach. To be clear, this genuinely is a minor complaint. With both stems, the bike handles extremely well and on gentler terrain I probably wouldn’t have even noticed the longish stem. Other than saddle swapping, that was the last of the tweaking I found it necessary to do during the majority of the test. Every other component simply got on with the job. The SRAM Rival1 groupset felt like the perfect fit for the bike. Gearing is, to an extent, personal, but I found the 40t front, 42-11t rear a good match, allowing me to climb pretty much anything I’d reasonably expect to get up, and I never felt under geared off road. There were occasions on the road that it would have been nice to have another couple of gears, but I just took the opportunity to sit up and ease off slightly. The Hook EXT isn’t designed as a fast road bike, and it felt pointless trying to turn it into one. 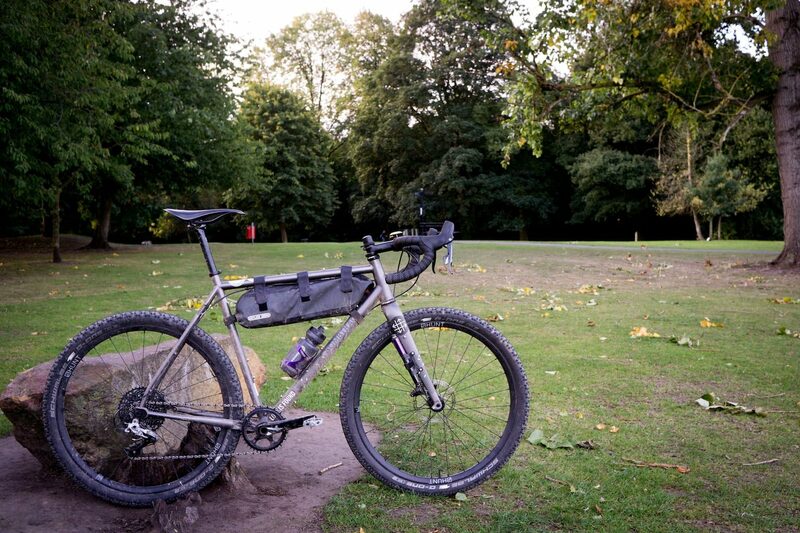 On the gearing note, a friend bought an EXT as a direct result of borrowing this test bike. He much prefers spinning an easy gear and chose to gear down the chainring. 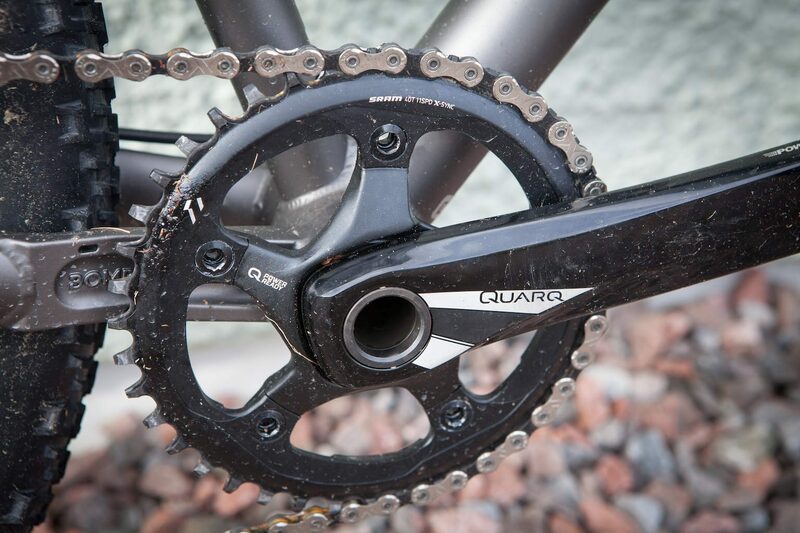 There are a limited number of options for the Quarq crank if you are looking to go for a small diameter ring and he eventually replaced the crankset to get his preferred 36t front. Worth noting if you intend on doing similar. Six months on and the crankset is a little scuffed, but otherwise, all good. 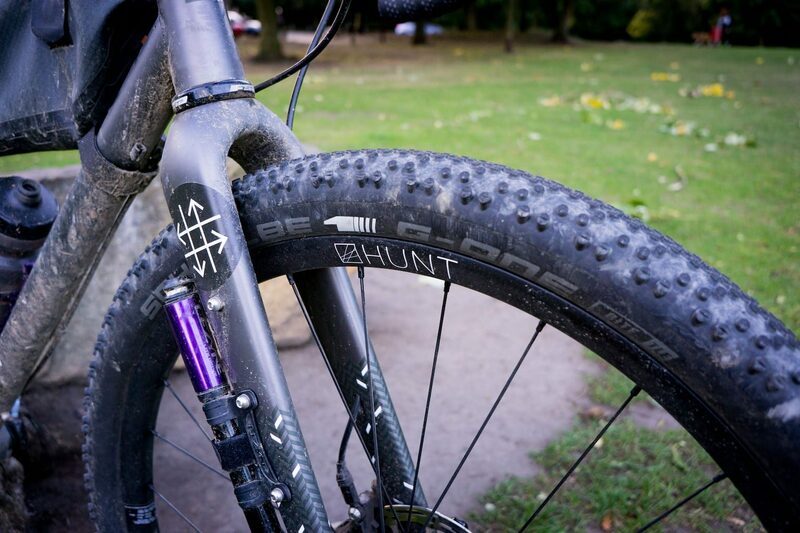 Towards the end of the test, we received the Hunt Adventure Carbon wheelset, pre-shod with Schwalbe’s 2.1in G-One Bite tyres. 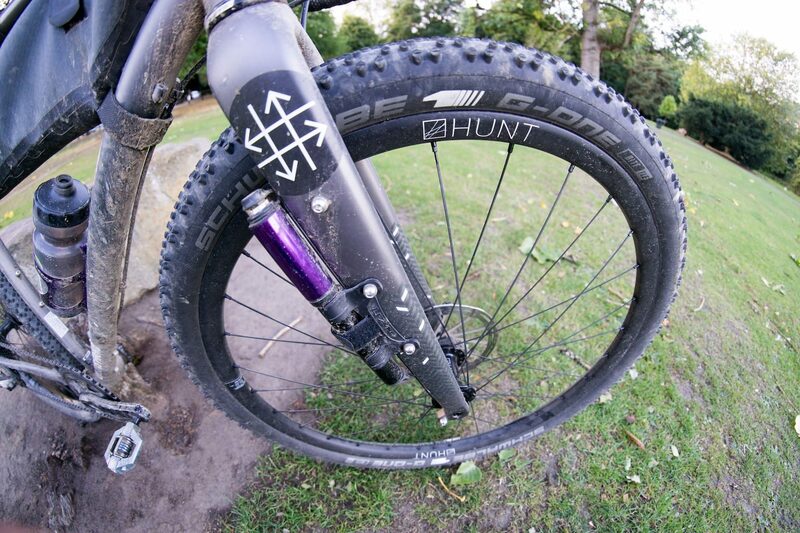 While you would absolutely expect a pair of £900 wheels to improve the ride of a bike, fitting them to Hook EXT definitely brought an added element of fun to the ride. The lighter weight and slightly stiffer wheels made acceleration feel rewarding and worthwhile. We’ll review the wheels fully once they’ve undergone a bit more testing, but they helped show off how great a ride the Hook EXT frame actually is. The Schwalbe tyres also highlighted the less good characteristics of the WTB Nanos, as they seemed to simultaneously roll better and offer better grip in all conditions than the originals. Bombtrack has specified cam-action thru-axles on the EXT. It is a very minor criticism, but they were fiddly to get the torque correct on, requiring lots of back-and-forth every time you remove a wheel. A DT Swiss style, or even allen-headed bolt would have been preferable. Over time, I’m happy to say that my early experiences of the Hook EXT were only reinforced. As I got to know the bike, my confidence grew and I was only ever rewarded with a surefooted ride. Loaded up with bikepacking kit, the initial weight of the bike felt even less important, while the bikes stability and ruggedness seemed to suit carrying gear. I didn’t make full use of the cage mounts, but appreciated the option and if I were to have had the chance to take the EXT on any longer trips than overnighters, would have definitely been tempted to acquire some load carrying options for the forks. Bombtrack has somehow created a bike this is both nimble and playful as well as stable and a safe pair of hands on quick descents. It spans genres, while managing to be really damn good at each, rather than the classic “Jack of all trades”. It was a bike that I would look forward to riding and quickly became the first that I reached for when nipping out for an hour in the evening or a longer weekend blast. A couple of minor scuffs, but otherwise unscathed. The finish has lasted well – it would look even better if I’d had taken a little more care. The Cromor frame was a pleasure to ride – genuinely comfortable over long miles (I finished the 200km of the Dirty Reiver tired, but not battered and bruised). One minor issue is that it was not a pleasure to carry. The Hook EXT runs the rear gear cable under the top tube. This was spectacularly painful if you tried to carry the bike cyclocross style. This is obviously not a ‘cross bike, and there are plenty of other ways to portage your bike, but a different routing option would be welcomed. 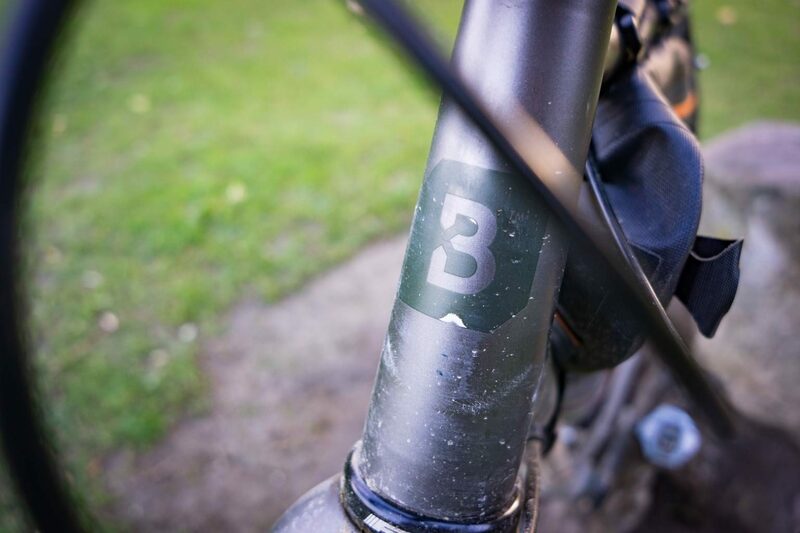 The Bombtracked branded bars are possibly my favourite ever off road drops. The 44cm wide hoods are wide enough to be stable when on the tops, while the subtle, 10º sweep is enough to keep wrists from getting bruised when in the drops. I’m not a huge fan of widely flared bars, so these were a perfect compromise. I loved the 44mm wide flared bars. So much so, I’ve bought a similar pair for my ‘cross bike. 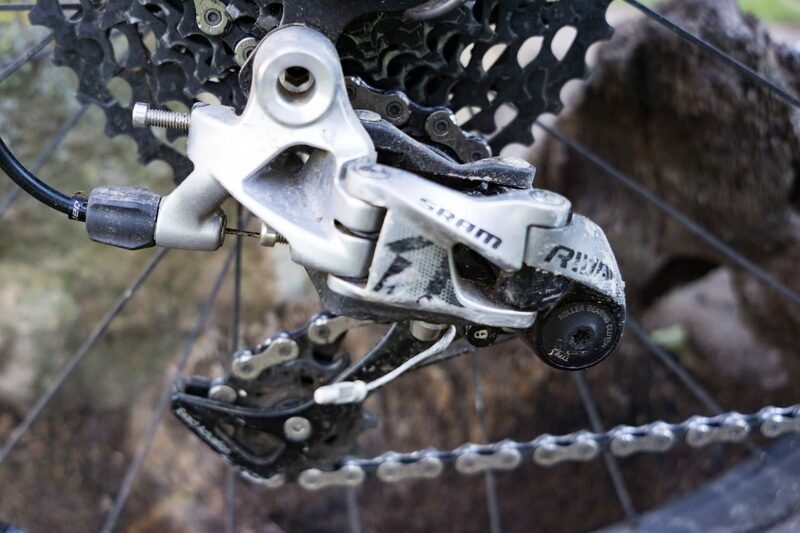 The Sram Rival1 groupset and brakes kept trucking with just the odd tweak of cable tension required. Even the brake pads lasted the duration of the test, although much of this is probably down to the incredibly dry summer we’ve enjoyed. I’ve long sung the praises of 1x for off road and won’t repeat myself again, but I enjoyed the quiet running of the groupset, especially when descending rough ground. Battered, but still working perfectly. Finally, I was wary of the pressfit bottom bracket option. In some ways, I needn’t have worried. There has been nary a peep or squeak during the test. On returning the bike to Lyon, the bearings felt as good as when I received the bike. The BB will need replacing at some point though, and the home mechanic in me would much rather see a threaded bottom bracket. 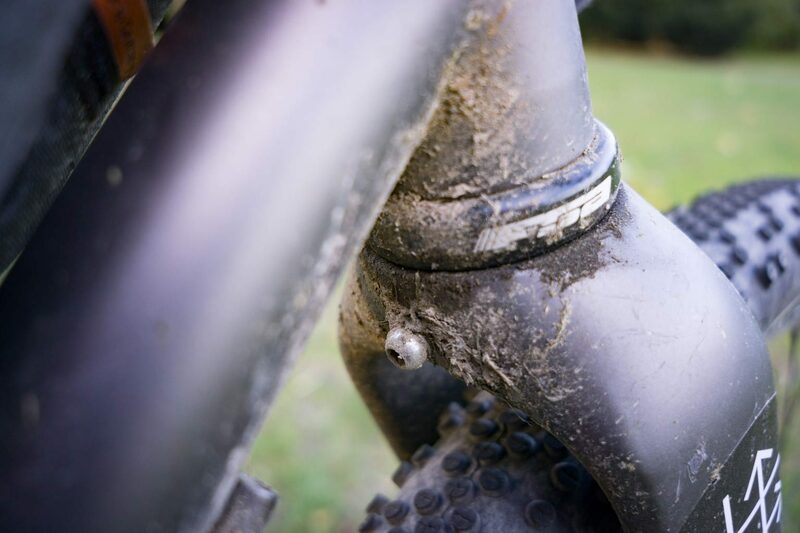 Bombtrack has clearly listened to its customer base, as the 2019 model has adopted this on an otherwise unchanged bike. 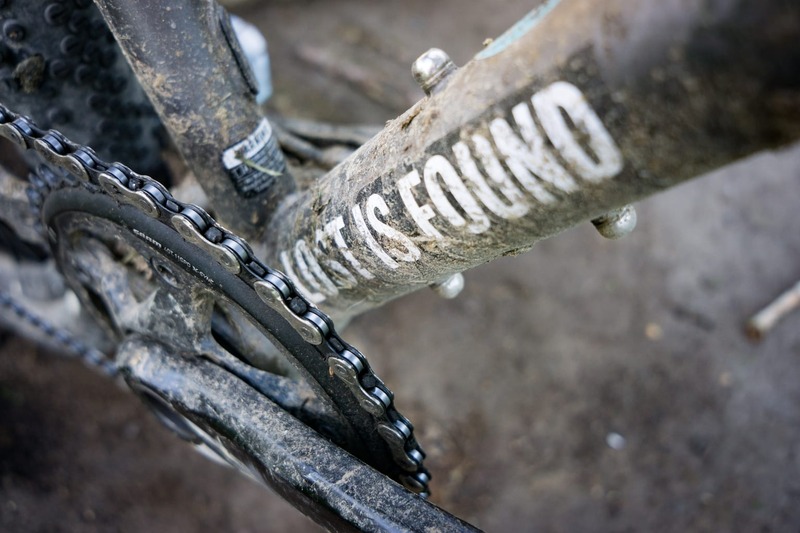 And the bottom bracket was a pleasant surprise. Still running smoothly, and no creaks. 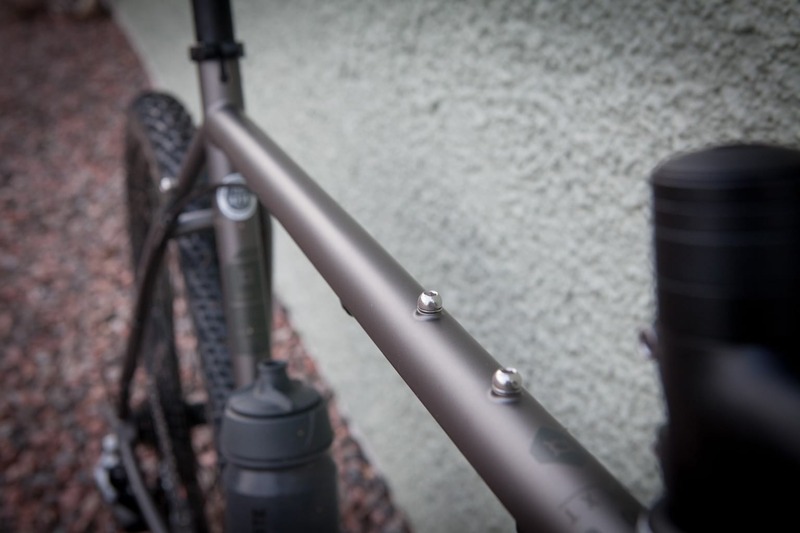 At £2,300, the Hook EXT sits somewhere in the middle of gravel bike pricing. Few would describe it as a bargain and you can probably find equivalent specs for less, but, realistically, there are very few other companies who are offering the same kind of bike as the EXT. The build is reasonable for the money, and each component is well thought out, creating a package that needs little upgrading from new. The Hook EXT has shrugged off the abuse we’ve given it and simply come back for more each time. This became modus operandi. 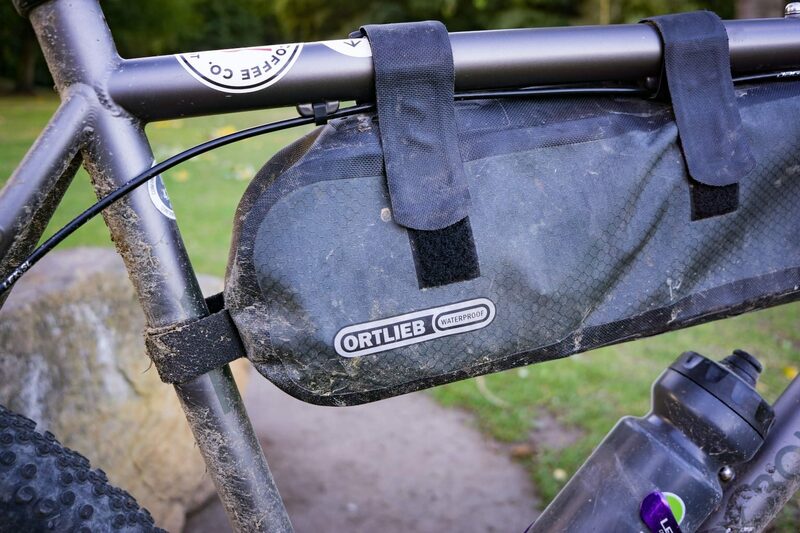 The Ortlieb frame bag fits perfectly and was a handy butty/tools/spare clothes carrier. We genuinely loved the Hook EXT. If you are coming to gravel biking from a mountain biking background, or simply want a gravel bike that won’t be held back by the terrain, then the Bombtrack is very hard to look past. This do-it-all approach means that it isn’t quite as nimble or fun on tarmac, but to expect that misses the point of the EXT. We have a lot of love for this bike. More efficient than a mountain bike, more rugged than the typical gravel bike, the Hook EXT is spectacular fun. 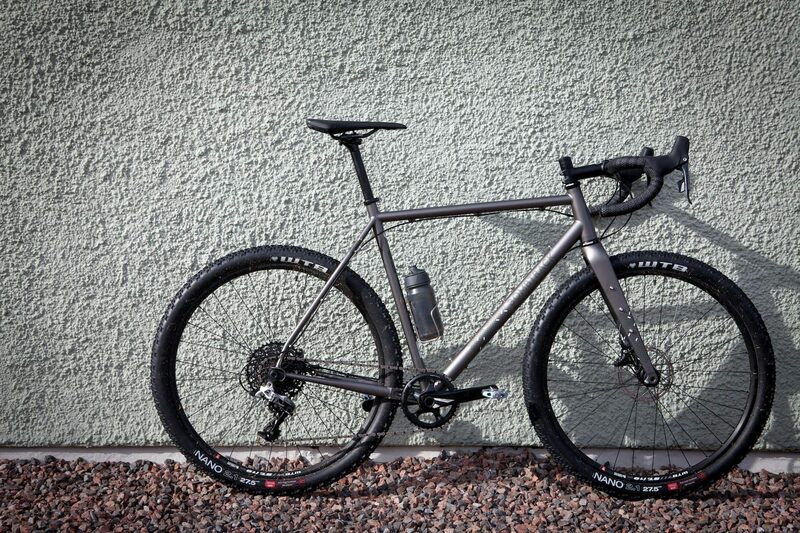 The bike isn’t perfect, but despite the (small) niggles, if I were to buy an off-the-shelf gravel bike tomorrow, it would most likely be this Bombtrack offering. Recommended.